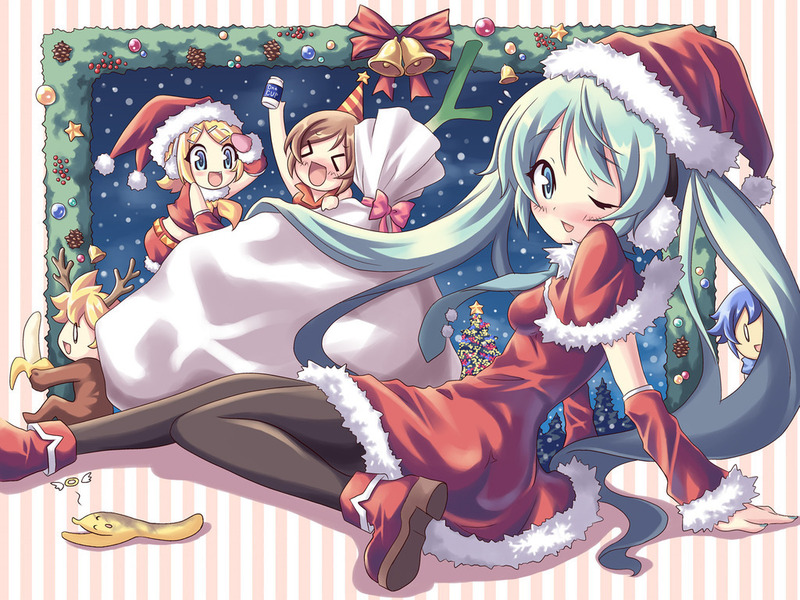 ボーカロイド クリスマス 壁紙. . HD Wallpaper and background images in the ボーカロイド club tagged: vocaloid wallpaper vocaloids christmas miku len rin kaito meiko. This ボーカロイド wallpaper contains アニメ, 漫画, マンガ, and コミック. I see a little Kaito!